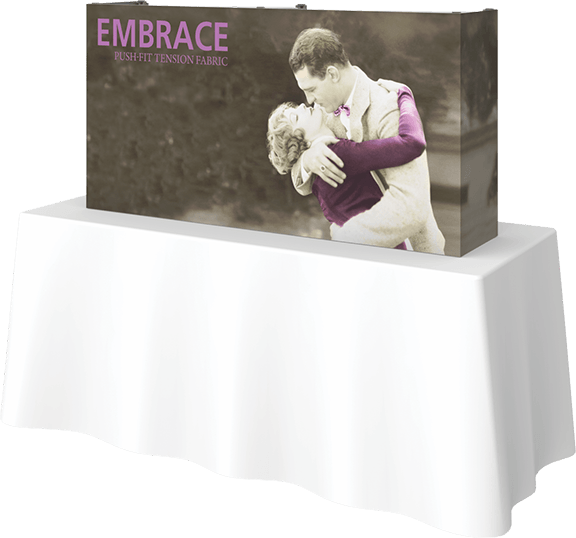 Our Easy-Up Fabric Table Top banners are stunningly vibrant and easy to use at trade shows or conventions. 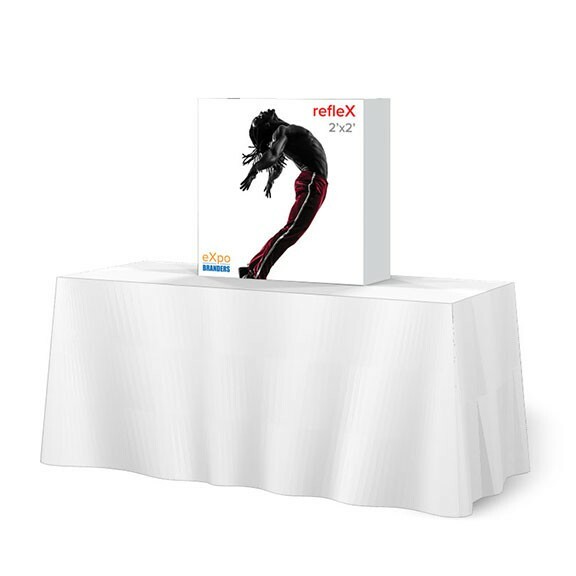 Set-up is simplified into an easy two-minute process, and the lightweight aluminum alloy fabric pop-up is accentuated by a matte satin canonized finish. 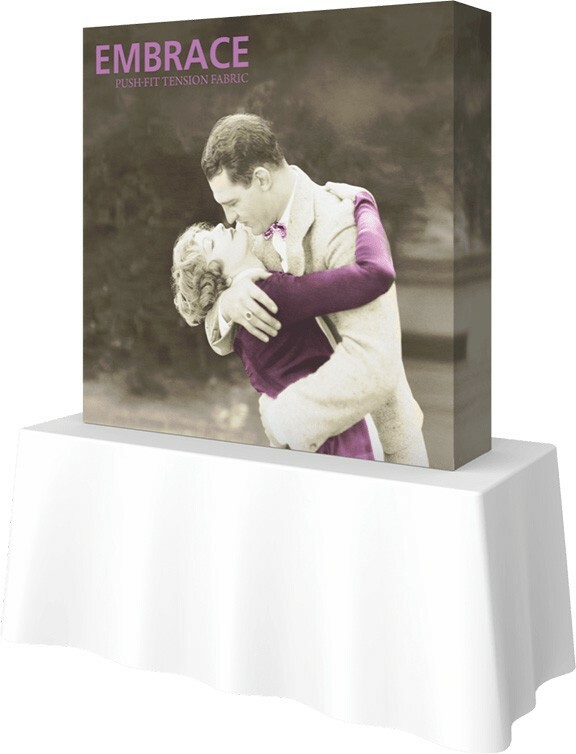 These eye-catching and vivid displays are ideal for your promotional message! 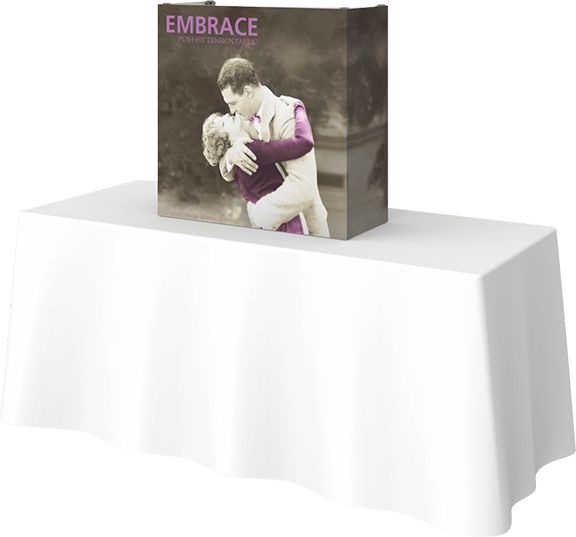 Look effortlessly professional at your next table top show. 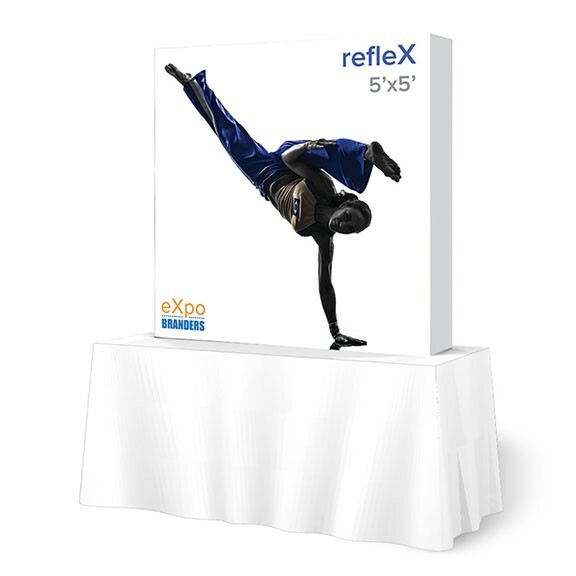 In two minutes, you can create an eye-catching trade show display that will make your brand the center of attention. 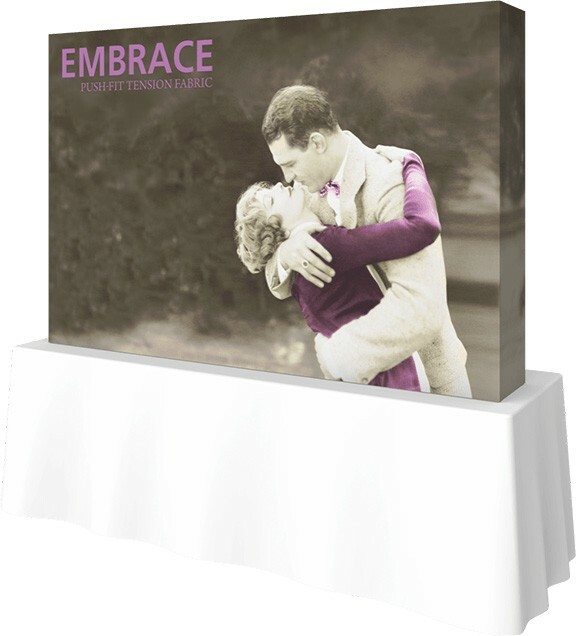 After a successful show, the graphic stays attached to the frame when packed up in its free carry bag, ensuring that set-up at your next show will be just as smooth.